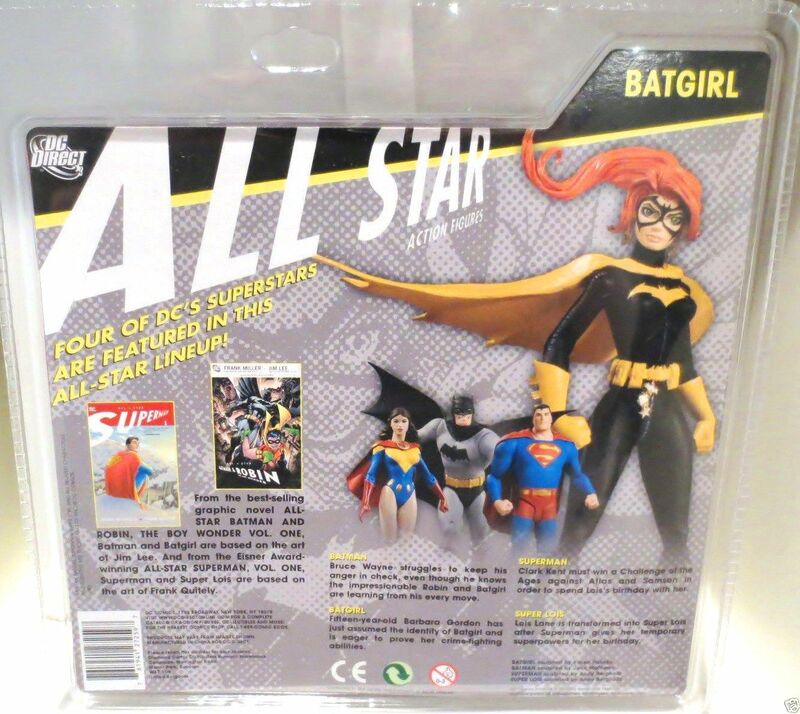 She's Fantastic: DC All-Stars Jim Lee BATGIRL! 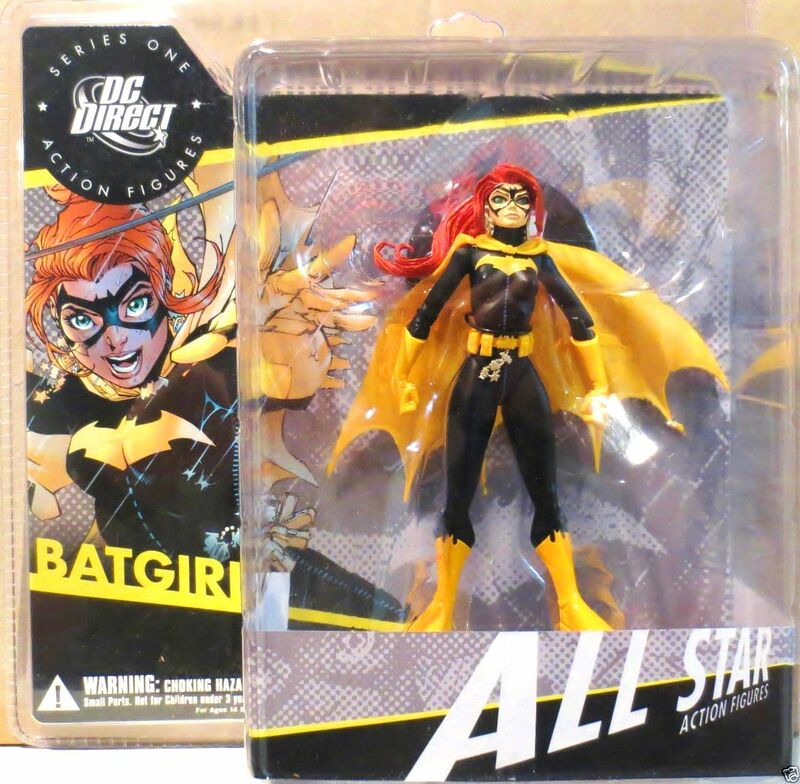 DC All-Stars Jim Lee BATGIRL! I think one of the hardest aspects to portray in an action figure is youth. It never seems to come across quite right. More often than not these figures feature inaccurately scaled-down adult features. It's not just the toy design either; youthful characters in comics are often cringe-worthy. 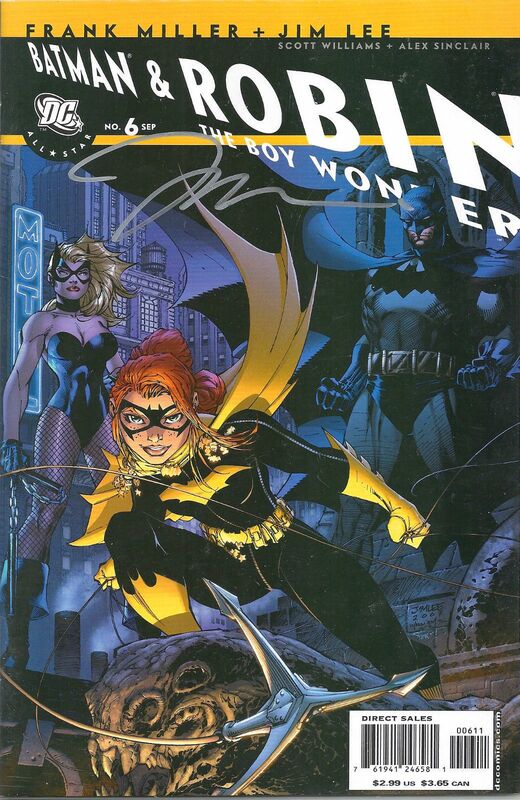 2005's All Star Batman and Robin: The Boy Wonder was the long-awaited return of Jim Lee to the Bat Universe since his wildly successful Batman: Hush run in 2002. The new series was written by the infamous Frank Miller. 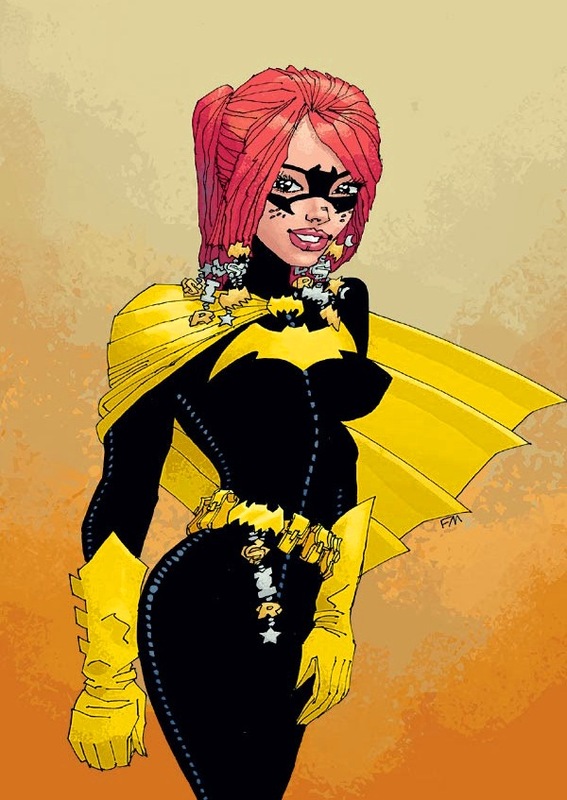 Miller's rather warped sense of these characters became a point of ridicule across the internet; Batman cursing at Robin, Wonder Woman as a man-hating tyrant, and Batgirl as a silly ineffective hero (with lots of vulgarities thrown at her.. so much so that DC officially redacted the words on the pages. 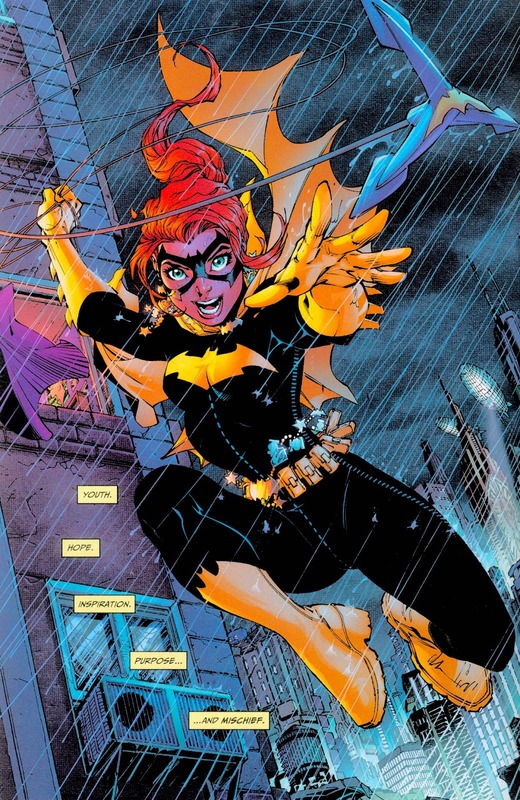 Jim Lee actually did a great job portraying this version the character, as did sculptor Karen Palinko, but this version of the character on her own is just underwhelming (In my humble opinion). Let's check her out below! The details are a little silly. She's covered with dangly trinkets, her costume seams are printed in an awkwardly bold blue, and her body proportions just seem unnatural. Here are some images from the comics. I this she looks pretty cool. Jim Lee can work miracles, even with a poor design. Maybe only I see it, but there also seems to be a lot of Frank in the aesthetic of this costume design, though Lee drew the book. Not that she looks like Miller's drawing above- she doesn't, but the outrageous costume, and her portrayal through the author's narrative- however marginalized she was. I can totally understand why some fans would be put off- it was a "dirty" book, but certainly original. I actually assumed the costume design was ALL Miller. It doesn't really ring of Jim Lee's style to me at all. Although, now that I think about it, I've never seen Lee do a young hero... maybe his talents are limited to oversexualized adult characters (which I love), and this is what his impersonation of a youthful character looks like. I just googled and couldn't find any evidence of who actually designed the characters. But I totally agree with you, I see Miller all over this design.